As a personal financial advisor, my goal is to help clients to simplify their lives by having a firm grasp on their financial affairs. Financial planning helps my clients to identify their goals and set up long range plans to achieve those goals. Michael Flynn is a CERTIFIED FINANCIAL PLANNER® (CFP ®) with many years of financial management experience. He has served as a controller for a division of a major corporation and for 14 years owned and operated his own CERTIFIED PUBLIC ACCOUNTING (CPA) FIRM. Mike specializes in comprehensive financial planning. He helps families identify personal, family and professional goals. This includes building wealth, planning for retirement, planning children’s educations, estate planning and income tax issues. Mike has been very active in the community. 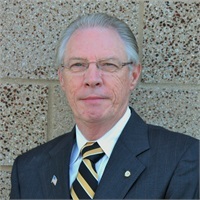 He served for many years on the City of Irvine Finance Commission, was Vice President of Finance for the Irvine Chamber of Commerce and was twice President of the Exchange Club of Irvine. He has served on the board of directors of many civic organizations including the Irvine Harvest Festival, and Irvine Senior Foundation and his church’s finance council. He is a member of the California Society of CPAs and the CFP Board of Standards. Mike has lived in Irvine since 1974 with his wife Garlin. They have two grown children and three grandchildren. They are active in two RV groups, and square dancing. Mike enjoys auto racing and football.